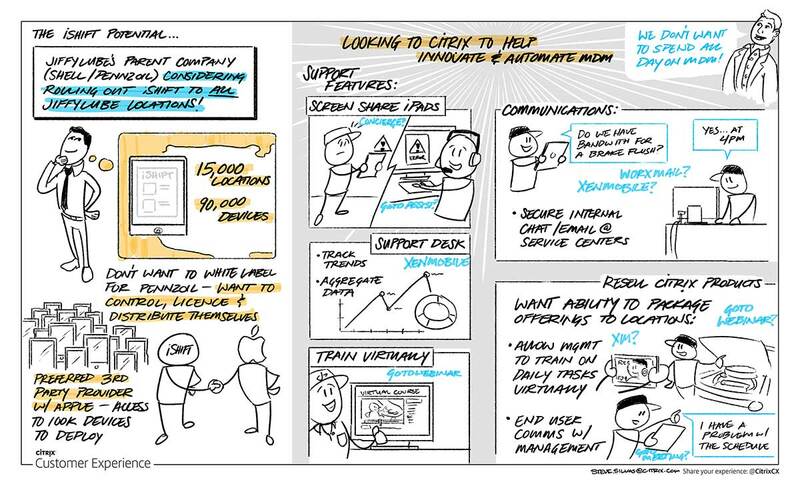 While working at Citrix, I co-created a customer sketching program designed to capture customer stories and feedback in a visual format like sketchnotes. 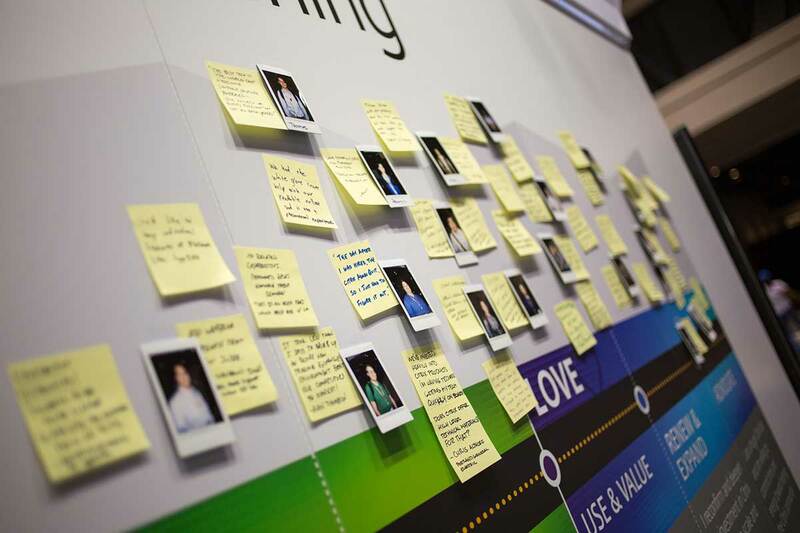 Working with our Global Executive Briefing Center program, we crafted a program that would provide a differentiated experience for customers by capturing their feedback and emotions during briefings. Sketches of the conversations are provided back to customers to show what we hear. 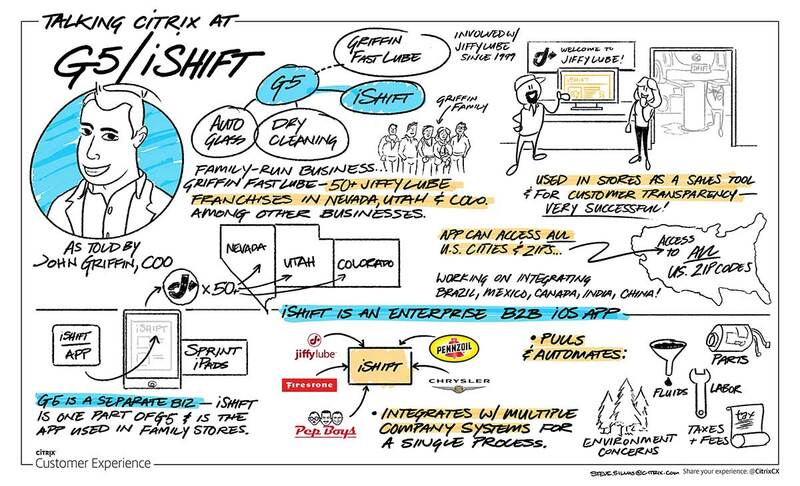 These sketches are also shared within the company up to executive leadership. As the program became more popular, we also took it on the road. 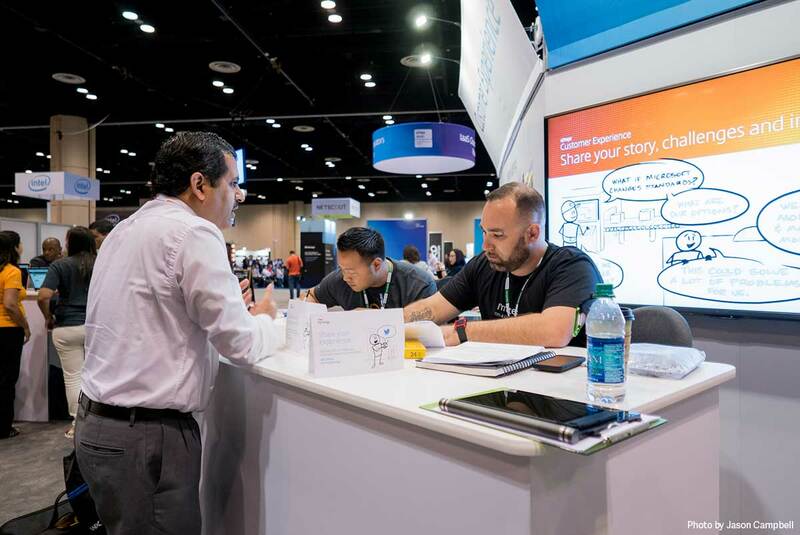 I coordinated a program where myself and three other artists sketched live with our customers on the show floor at Citrix Synergy 2015 in Orlando. To date, we have captured more than 60 customer stories, providing valuable insight into their businesses, needs and product feedback and is now an official offering for customers at Citrix. 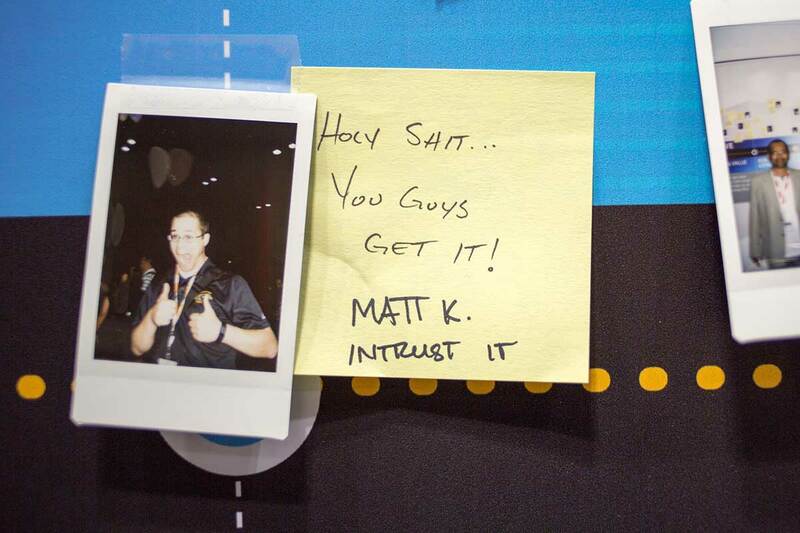 I wrote an article about this project on the Citrix Blog.